It’s the takedown that started it all: The Bell House hosts Matt Timms’ annual Chili Takedown cook-off. 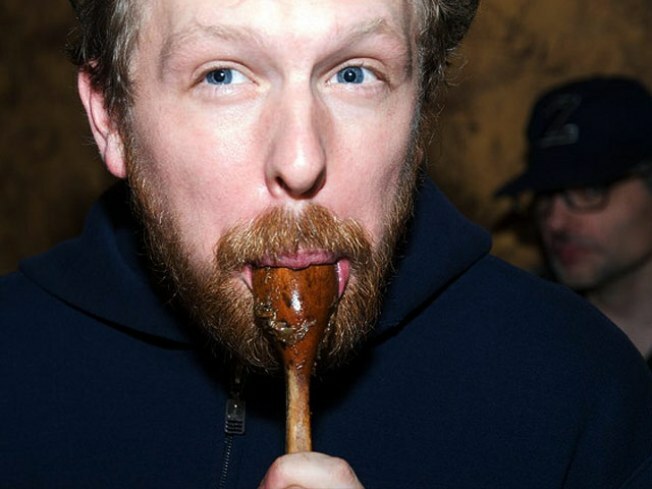 ..
BEAN THERE: It’s the takedown that started it all: The Bell House hosts Matt Timms’ annual Chili Takedown cook-off. Sample recipes from more than 30 competitors vying for your tastebuds, as we all try not to think about that campfire scene from Blazing Saddles. Sunday, 4PM. ON TRACK: One of the holiday season’s biggies returns for its 19th year: At the New York Botanical Garden in the Bronx, model trains chug along a half-mile track through nearly 150 landmarks constructed entirely of botanicals like tree bark and pinecones. (It’s like the Barneys holiday windows meets Survivor.) The Holiday Train Show is open 10AM-6PM, Tuesday through Sunday, through 11/ 9. ALL IN THE FAMILY: Jeff Richmond’s keenly retro score sets the tone for his wife Tina Fey’s show 30 Rock, so we’re thrilled he’s releasing a full album of the horn-and-reed heavy sound. Join hubs and wife and other castmembers from the show as the disc goes on sale at the NBC Experience Store, located at 30 Rock(efeller Center), where the show is set, which is also where we’re HQd… ow, too meta. Head hurting. Saturday, 11AM. AND FINALLY: Hey, who wants to stand in line? Expect massive waits to get into some of the city’s H&M stores tomorrow, as the Lanvin X H&M collection goes on sale. Racked talks strategy here. 640 5th Avenue is one of them, open Saturday 9AM-8:30PM.